A professor of molecular distance who believes in only strength. 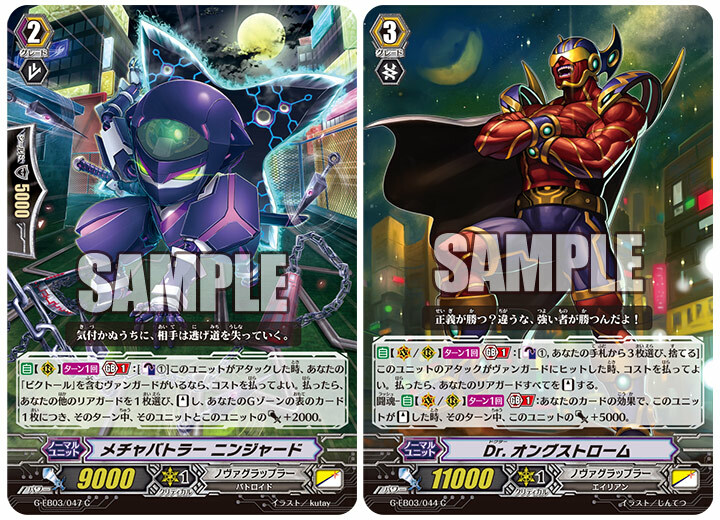 AUTO (VC/RC) 1/Turn Generation Break 1: [Counter Blast 1 Card & Choose 3 cards from your hand, Discard them] When this Unit’s attack Hits a Vanguard, you can pay the cost. If you pay it, all of your Rear-guards Stand. Rush – AUTO (VC/RC) 1/Turn Generation Break 1: When this Unit stands due to your card’s effect, during that turn, this Unit gains Power+5000.